Aether is a live motion capture-performance designed and choreographed from the ancestral use of sacred geometry and the embodied elements: water, fire, earth and wind. The dancer’s movement is tracked and translated to a 3d model emitting different particle systems in real-time. 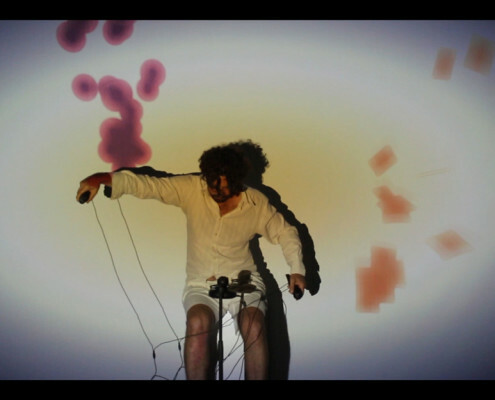 Aether is a collaborative project between the Interactive Telecommunications Program and Integrated Digital Media Program at NYU. A project by Ruudy Liu, Lajune McMillian, Sergio Mora-Diaz and Kat Sullivan. Darren Solomon is a composer, bassist and keyboard player, based in Brooklyn. He began his career touring with Ray Charles while still in his teens, and went on to work both as an instrumentalist and composer. He has written the music for hundreds of TV commercials, winning both a Clio and Cannes Gold Lion for best music. 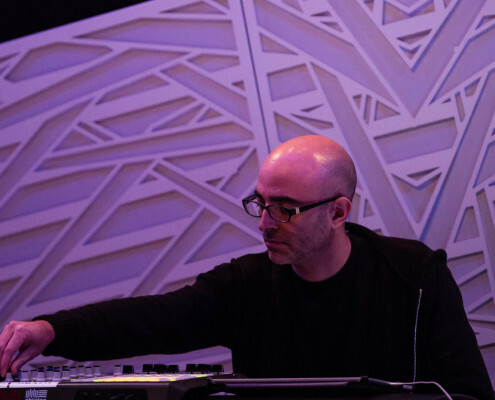 His collaborative ambient music website In B Flat 2.0, was featured on CNN and NPR’s Weekend Edition, and he records electronic music and remixes under the name Science for Girls. 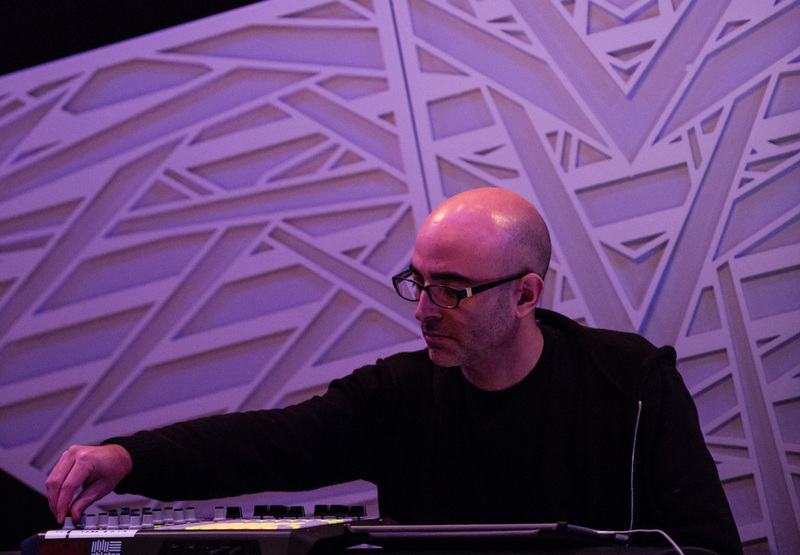 Alon Ilsar is a Australian drummer, composer, sound designer and instrument designer. He is currently artist in residence at PIMA, Brooklyn College. He has designed a new interface for electronic percussionists called the AirSticks, using the instrument in projects such as The Sticks, Silent Spring, Malarkey, Kirin J Callinan and Brian Campeau. He has also been heavily involved in theatre and film as drummer, composer and sound designer. His diverse projects include Keating! the Musical, Eddie Perfect, Meow Meow, Tim Minchin, Circus Monoxide, Zohar’s Nigun, Aronas, Captain Kirkwood, The Colors Tribute Band, Gauche, Trigger Happy and Darth Vegas. Most recently he underscored the Sydney Theatre Company production of ‘Mojo’ on solo drum kit and Scottish production ‘Kind of Silence’ on AirSticks and drum kit. Kat Sullivan is visual artist and currently a graduate student at NYU’s Interactive Telecommunications Program where she is a recipient the of Tisch School of the Arts fellowship. 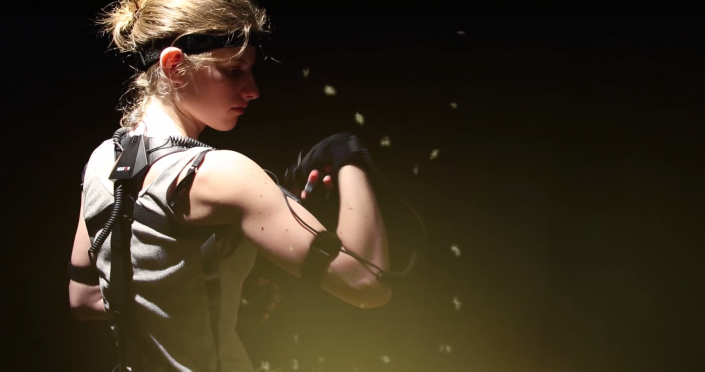 Her interest in the intersection between movement and technology began at Skidmore College where she dueled majored in Computer Science and Dance. 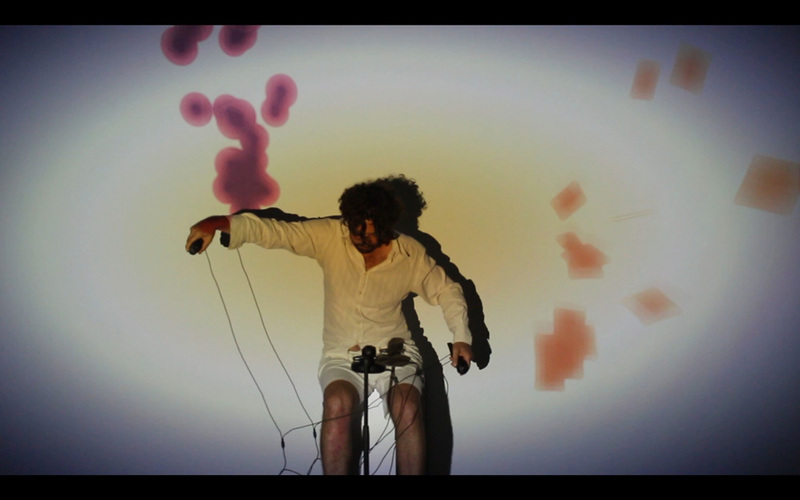 LaJune McMillian is a New Media Artist, Maker and Creative Technologist living in Brooklyn NY. She is a student in the Integrated Digital Media Program at NYU Tandon School of Engineering. Most of her work is about interconnection, and experiencing life beyond the material world. She expresses this using Videos, Performances, Installations and Physical Computation. Sergio Mora-Díaz is an architect and artist born in Santiago de Chile, currently living in Brooklyn, New York. His work explores the communicative and interactive qualities of physical spaces, ranging from architecture and design to other related disciplines such as installation art, digital technologies, motion graphics and performance art. Recently, Sergio graduated from the Interactive Telecommunication Program at NYU with a scholarship from the Chilean Council of Science and Technology fund, CONICYT. Ruudy(Xiaoyu) Liu is an artist focused in interactive visual effects projects, experimenting with motion sensing/capturing technologies and developing virtual reality games and experiences. With his computer science background and his passion for film and multimedia, he studied filmmaking and computer animation at RIT. After he got his MFA degree, he kept pursuing his second master’s degree in interactive telecommunications at NYU. In the past 4 years, he worked in quite a few areas including 3D animation, filmmaking, game development, software engineering and sound production. Now he is working as a film/TV visual effects compositor at New York City.